The $1.2 million plan extends late-night hours on certain bus routes, while adding buses to other routes that are often crowded during nighttime runs. “It’s not quite 24 hours a day. Not quite. But we’re certainly close,” said MBTA General Manager Luis Ramirez. A handful of bus routes will now have one later trip, while some popular routes will get more frequent service earlier in the night. These routes will include trips between Boston and Revere, Cambridge, Malden, and other communities. Some routes will be merged to create longer trips during early-morning hours, such as the Silver Line branches that serve Logan Airport and Dudley Square. Other combined routes will extend the reach of late service from downtown Boston to Mattapan, as far north as Lynn, and out through Somerville, Medford, and Malden. The T also plans to better market little-known existing routes such as from Roxbury to Logan at 3:50 and 4:20 a.m. 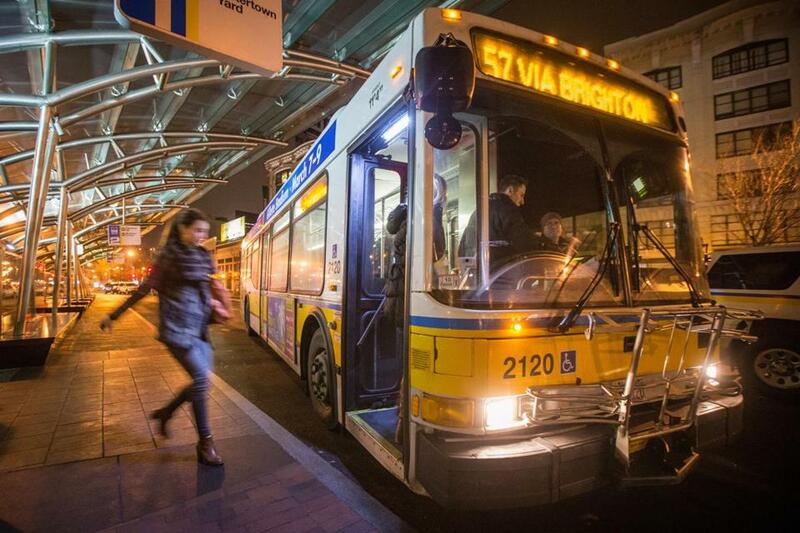 Ultimately, officials said, these various changes will add 282 bus trips each week, largely to help low-income workers at Logan and elsewhere who have limited late-night transportation options. The MBTA said it will consider adding even more service after evaluating the results of the additions. The service grew from a suggestion by advocacy group Transit Matters in 2016 to run buses all night to replace the late-night, weekend subway service the T had shut down. The first step by the T was to run more buses on in-demand routes early in the morning, which began in April. For late-night service, the T had toyed with running one long route, from Mattapan to Chelsea, with stops at Logan and South Station, but that proved too expensive. The current approach, said MBTA analytics director Laurel Paget-Seekins, is “more surgical” than a single long route. James Aloisi, a board member for Transit Matters, said the version approved Monday is “more expansive,” and he hopes the MBTA will add to it in the near future.